ON BACKORDER - PLEASE CHECK BACK FEB 22. Save $10.00 off the individual product price! The complete Revivogen MD Treatment Pack. 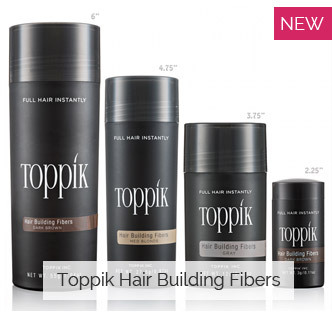 A great alternative (or addition) to Propecia and S5 Cream for a fully comprehensive hair loss prevention regimen. Revivogen contains the most potent topical DHT inhibitors on the market. Includes: Three Scalp Therapies, one Shampoo, and one Conditioner. A 3 to 5 month supply. 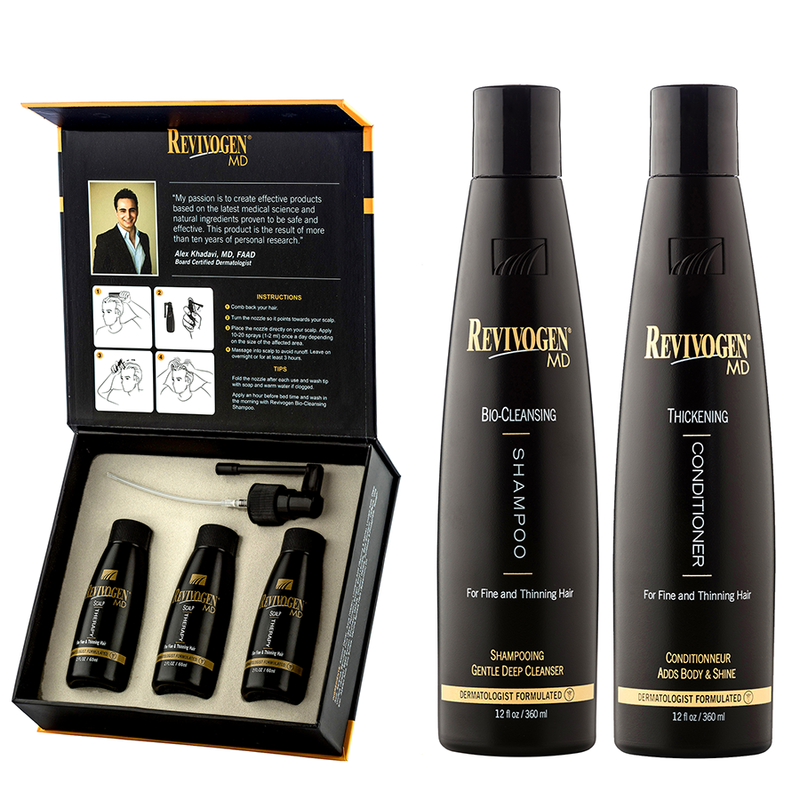 Also get this product in a discounted combo pack with only the shampoo: RevivogenMD ValuePak, or the Shampoo and Conditioner in a discount combo. Revivogen MD is a revolutionary, all-natural solution in the fight against hair loss, containing clinically proven DHT inhibitors. 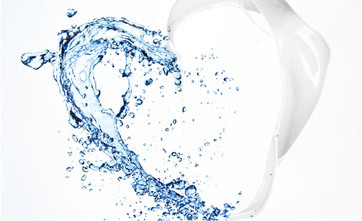 Revivogen is, in our opinion, the most clinically backed treatment in its class of non-FDA approved natural products. The science backing it is phenomenal. Revivogen MD is used topically, has no side effects, and is a great addition to any clinically proven treatment regimen. 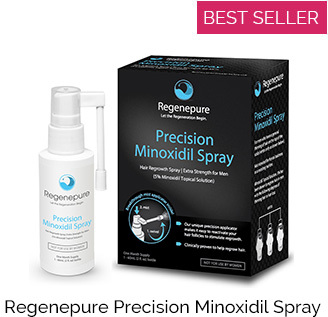 Revivogen MD For Men - Where does it Fit? For men seeking to maintain what they've got and possibly regrow a little, you want an Antiandrogen. Propecia, Revivogen, Kourosh, and S5 Cream (Topical Spironolactone) are all antiandrogens. For men seeking to regrow cosmetically noticeable hair, you need an Antiandrogen and a Growth Stimulant like Rogaine, Tricomin, or the Laser Comb. Which antiandrogen you choose is completely up to you. Just keep in mind that if you want to duplicate Generic Finasteride (Propecia), its suggested you use both Revivogen and S5 Cream together. Revivogen MD For Women - Where does it Fit? The only women who will benefit from Revivogen are those who are fairly certain they have Androgenetic Alopecia (thinning hair) as opposed to patchy or total hair loss. This treatment affects the hormone balance in your scalp. So if hormones are not causing your hair loss, this treatment will not stop your hair loss. The vast majority of women who have thinning hair do have Androgenetic Alopecia. The logic for them is the same as for the men: To maintain what you have, and possibly regrow a little, use an Antiandrogen like Revivogen, or Topical Spironolactone S5 Cream. If you need to regrow a noticeable amount of hair, you will need to add Rogaine to that mix. Rogaine Foam is suggested as it is the most effective form.